A West Yorkshire chemical manufacturer has expanded its offering to include smaller, more accessible product solutions alongside its bulk chemical range. Airedale Chemical has acquired two automated filling, labelling and capping production lines with the capacity to produce 2.4 million units per year at its four-acre site, creating a complete end-to-end chemical production facility. Airedale Chemical has built its reputation on the manufacture and supply of speciality chemicals sold in intermediate bulk containers of 1000 litres. 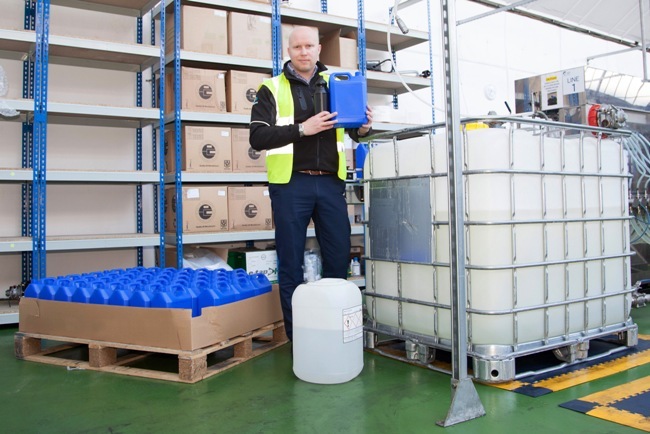 However, after identifying a gap in the market for industrial chemicals in smaller quantities it now offers small-pack solutions from one, five and 25 litre units. Daniel Marr, head of marketing at Airedale Chemical, said: “This addition to our services opens us to a whole new customer demographic and also offers different selling options for our existing clients.